dummy House Doctor Shaped - Vase - Grøn - 25,4 cm. dummy House Doctor Defect - Vase - Grå - 11,5 cm. dummy House Doctor Form - Vase - Brun - 26 cm. dummy House Doctor Effect - Vase - Sort/Hvid - 24 cm. dummy House Doctor Effect - Vase - Blå meleret - 14 cm. dummy House Doctor Style - Vase/Potte - Grå/Blå - 14 cm. dummy House Doctor Effect - Vase - Sort/Hvid - 21 cm. dummy House Doctor Antique - Vase - Kobber - 12 cm. dummy House Doctor Antique - Metallic Vase - 15 cm. dummy House Doctor Testtube - Vase m. 5 glas - Antik kobber - 16 cm. dummy House Doctor Ball - Vase - 18 cm. dummy Cooee Pillar - Vase - Sort - 32 cm. dummy House Doctor RD - Vase - Brun - 12 cm. dummy House Doctor RD - Vase - Grøn - 12 cm. dummy House Doctor Silver Lines - Vase - 13 cm. dummy House Doctor Turn - Vase - Lyseblå - 22 cm. 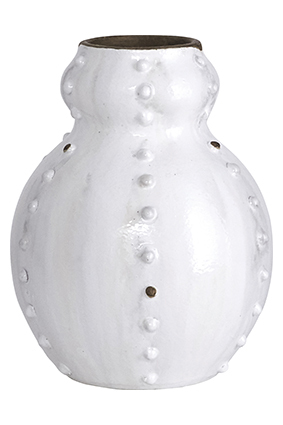 dummy House Doctor Woody - Vase - Sandfarvet - 32 cm. dummy House Doctor Earth - Vase - Grå/Sort - 15 cm. dummy House Doctor The Threes - Vase - Blå - 14 cm. dummy House Doctor The Threes - Vase - Lysblå/MørkBlå - 14 cm. dummy House Doctor The Threes - Vase - Grå - 14 cm. dummy House Doctor Wave - Vase - Grøn - 30 cm. dummy House Doctor The Jug - Vase - Hvid - 17 cm. dummy House Doctor Johanna - Vase - 23 cm. dummy House Doctor Ruby - Klar vase - 24 cm.